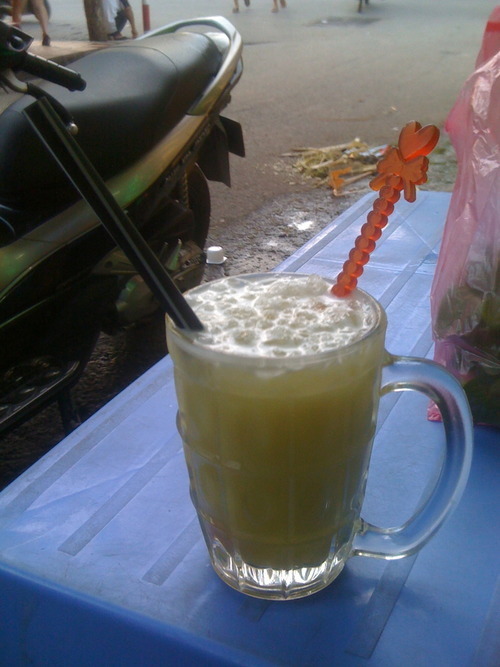 I have discovered a new favorite-sugarcane juice! 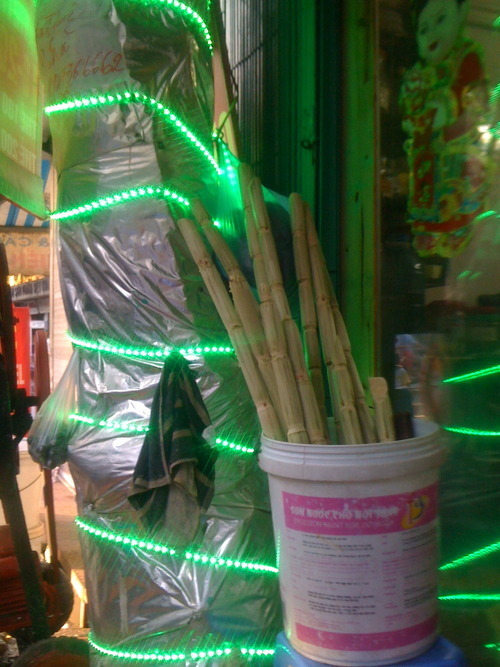 Small stalls began appearing around the city sometime in April, and while I first thought the idea of sugarcane juice sounded a bit odd, I decided to go for it while visiting Ho Chi Minh City and I’m glad I did! It’s sweet, but not too sweet, with a bit of added lime and ice and very refreshing. 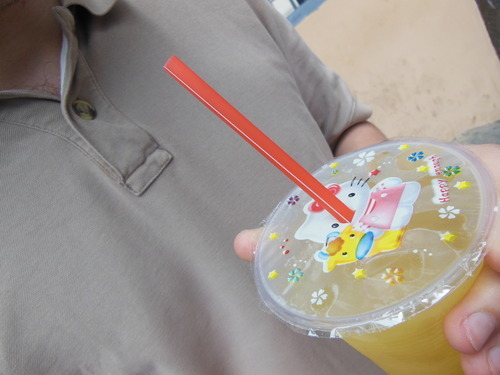 Another fun thing about this drink is the way it’s made, like fresh squeezed orange juice, but with a huge piece of sugar cane instead, which is rather entertaining to watch. 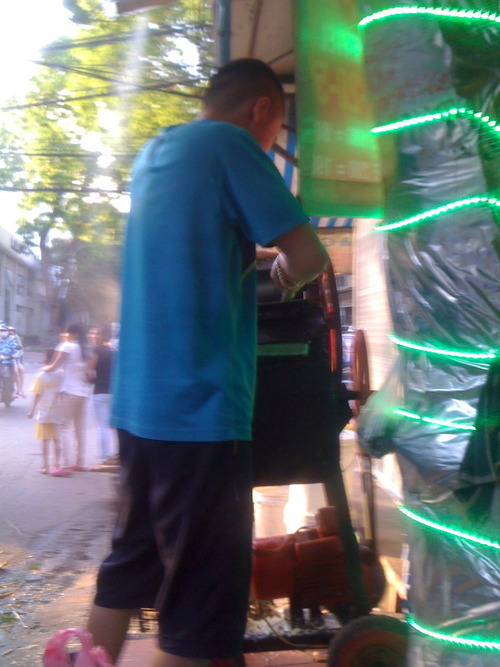 I wish I had a better picture of this, but the sugarcane is pressed through this contraption that’s cranked by hand. The sugarcane is pushed through several times until all the juice is squeezed out and it’s completely flattened. Reblogged this on A Love For Vietnam.